In September 2017, global real estate services firm Cushman & Wakefield signed a strategic partnership agreement with Polish start-up ShareSpace, recognizing the rapid growth of modern coworking office space for start-ups and SMEs, and changing office lease preferences of large corporations. Both partners will work together to further their expansion and promote technological and commercial solutions for flexible office leases. Thanks to the integration of Remobile.pl and Sharespace.pl, mutual knowledge sharing and development of new solutions, Cushman & Wakefield and ShareSpace will provide tenants with quick access to coworking and serviced office space offered across Poland. New technological tools will facilitate searching for ideal work spaces, transaction making and taking informed decisions about the size, style and location of an office. Tenants will have greater freedom of choice in selecting best-suited options and will gain access to exclusive tenant representation by a team of professionals of both companies. This is the first cooperation of this type on the Polish commercial real estate market. Benefiting from this cooperation, Cushman & Wakefield has added to its long-term office leasing services office space provided in coworking centres across Poland and offered on flexible terms on the ShareSpace platform. This new service has been launched in response to the growing demand of local sole traders, start-ups and international corporate teams that can now use this user-friendly tool to quickly lease a hot-desk, an ordinary desk, and an office or conference room. It aggregates offers of leading coworking space providers in Poland, including Business Link, MindSpace, Brain Embassy, O4, and HubHub. “Coworking space accounts for less than 1% of Warsaw’s total office stock compared with 2-3% on mature markets such as London and New York. This market segment, however, is growing at a rapid pace of 70% year-on-year in 2017 and is expected to provide 78,000 sq m of coworking space by 2020” said Mikołaj Niemczycki, Negotiator in the Office Agency of Cushman & Wakefield, and the leader of the strategic partnership with ShareSpace. 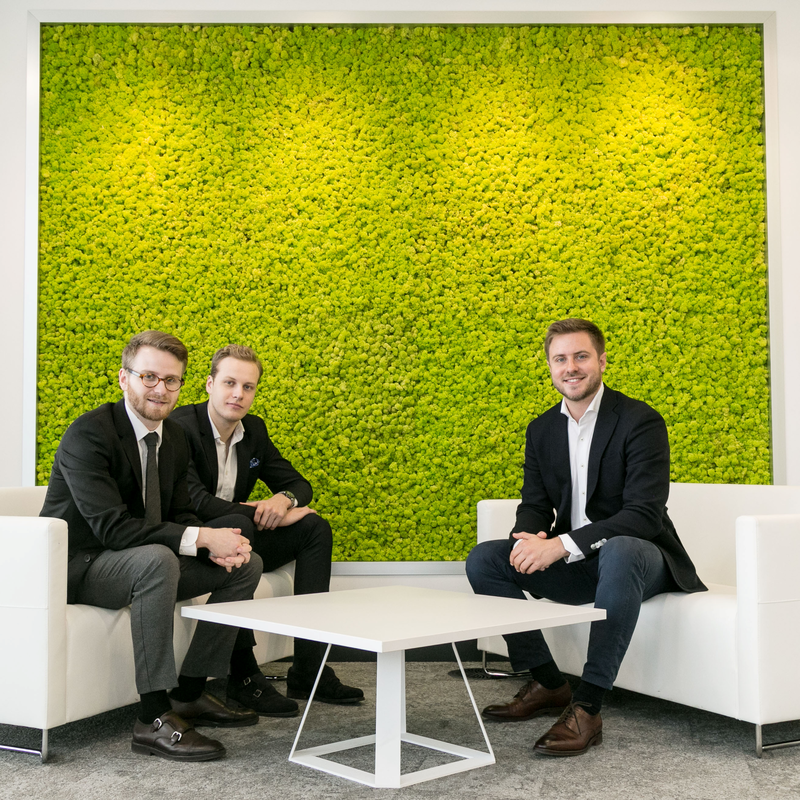 “Coworking space is in the vanguard of the office leasing market and has become an incubator of cutting-edge technological solutions” said Robert Chmielewski and Marcin Dyszyński, co-creators of www.sharespace.pl. Coworking is a unique alternative to a typical workspace with a number of advantages, including flexible lease terms, attractive all-inclusive rents, short-term leases, ready-to-use office equipment, and plug and play infrastructure. It also offers many soft benefits such as business contacts, social events and an inspiring work environment. In contrast to the traditional office, coworking space is used by individuals working for different companies and on various sector projects. It combines the best features of a café and working space, creating a relaxed and professional atmosphere and a creative environment that fosters collaboration and nurtures a genuine sense of community. Thanks to the cooperation both Cushman & Wakefield and ShareSpace will be able to satisfy the growing demand for flexible office space by providing user-friendly technological tools. It is the first cooperation of this type between a leading corporation and a start-up on the Polish office leasing market. ShareSpace is the first end-to-end platform that brings together professionals and flexible office space providers online, revolutionising the process of real estate leasing. It lifts the burden of complicated lease cost structures, complex contracts and long-term commitments put on most young companies by the traditional real estate industry. ShareSpace tools will simplify finding the perfect workspace, making transactions seamless, while the transparency of legal aspects eliminates unnecessary costs and complexity associated with traditional leasing. Flexible office space is now available at a single click. To learn more, please visit www.sharespace.pl or follow @sharespace on Facebook and @sharespacepl on Twitter.